FINAL CHANCE: Summerbrooke in Mount Dora is part of a charming lakeside town set among the rolling hills of Lake County. Home to many festivals and shows throughout the year featuring art, music, boats and more, there’s plenty to do in Mount Dora. And serene natural surroundings provide just as many ways to escape. 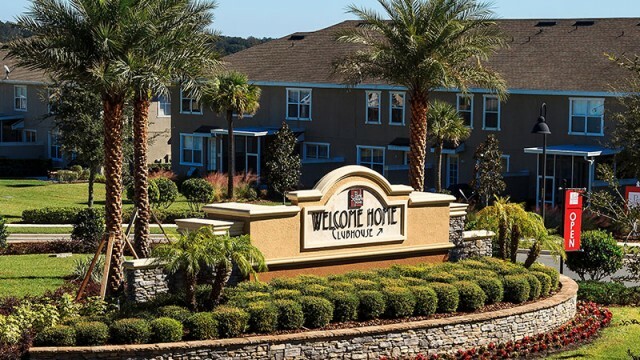 Located 2 miles from Mount Dora’s great restaurants and historic downtown shopping district, Summerbrooke offers easy access to it all. 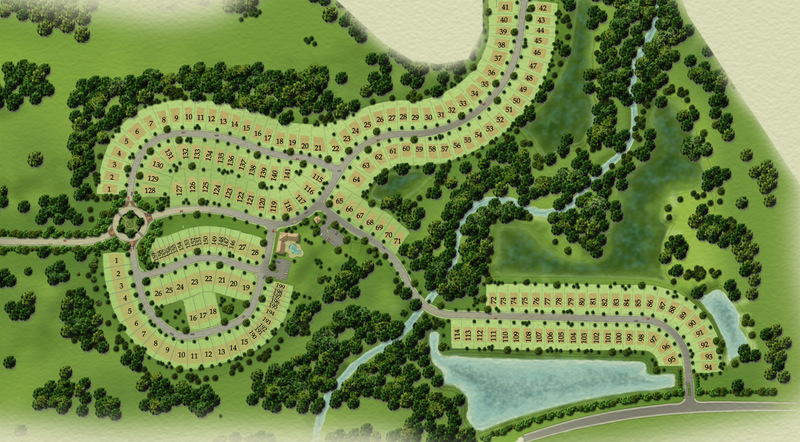 Plus great neighborhood amenities, such as a community clubhouse and pool, recreation areas and lush green parks. From carefully crafted homes to old-fashioned street lamps, old-Florida charm abounds in this wonderful neighborhood. 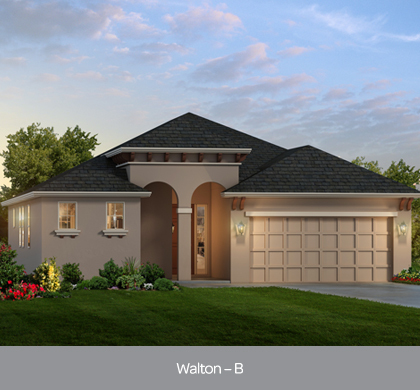 Discover how modern conveniences can accompany graceful living in the Walton with a drop zone on your right. This inspired 3 bedroom design combines wonderful formal and informal living areas in with a fourth bedroom option. Just past the Walton’s foyer is your first look at the spacious gourmet kitchen and dining area, overlooking the large living room that walk you into a flex room, perfect for the entertainer. Continue through the living room to take your first steps out onto your covered patio. Enter the opulent owner’s suite to find a large walk-in closet, garden tub option, plus his and hers sinks. 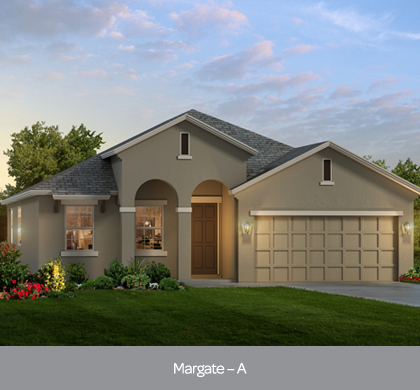 Discover the conveniences that can accompany the graceful style of the Margate. 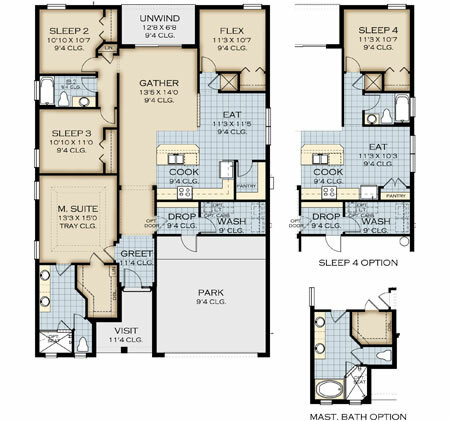 This 3 bedroom and 2 bath design will be perfect in creating your dream home. Just past the Margate’s front door with a drop zone on your right, you’ll find a spacious flex office or play room opening with optional double-doors! At the end of the foyer you will find your beautiful kitchen and dining area, as well as having a straight shot into your elegant living area. Entering into the owners’ suite, you find a stunning surprise with 2 master closets and luxurious bath to help relax you from your long day! A special family deserves a special design for their home, full of features that cater to today’s lifestyle. 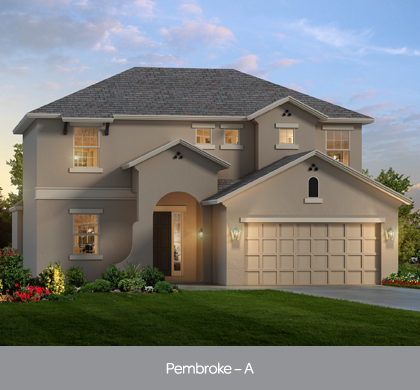 The Pembroke offers everything you’ve dreamed of and more in your new home. 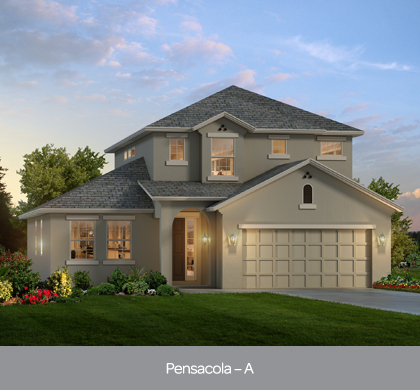 As you enter your home, you’ll find brand new drop zones to your right, followed by your first look at your spacious gathering areas that overlook the covered patio. A gourmet kitchen and a flex room complete the feel of togetherness. 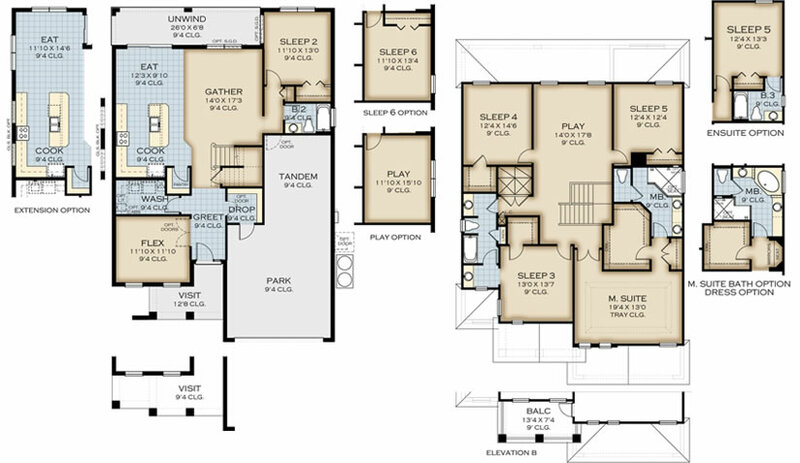 Upstairs, the bedrooms are served by a play area, separating two more bedrooms from the owner’s suite. You’ll love the convenience of a laundry chute. 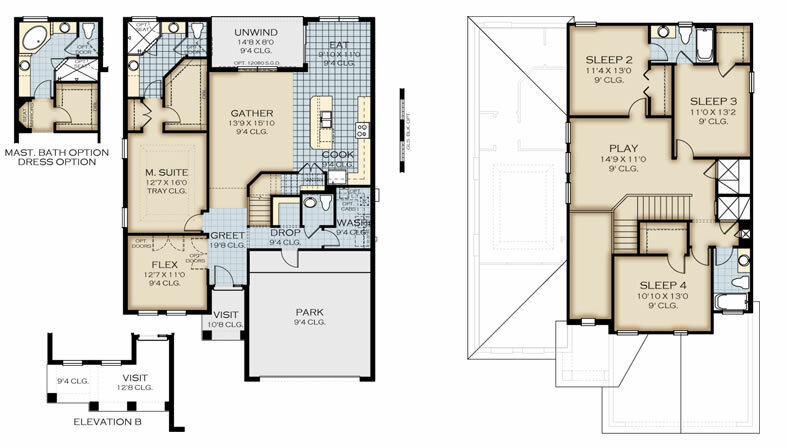 Enter the elegant suite and discover a huge walk-in closet and luxurious master bath. It’s time to come home to an amazing home that inspires you! It’s time to come home to the Pensacola! With double doors opening into a flex office space as soon as you walk through the door, a winding staircase and a drop zone to your right, this home is built not only for elegance but for practicality. Continue through the home to find your master suite on the bottom floor, with a luxurious bath, large walk-in closet and with the option for even more openness by adding double doors into the office space. The vast gathering space opens up to both the kitchen and dining area, to create even more of an open feel! Following the staircase upstairs you’ll see a spacious play area with 3 additional bedrooms and the Jack and Jill bathroom. You’ll love the convenience of a laundry chute. This is the perfect home to build your dreams in! Come home to a welcoming sanctuary that embraces both beauty and versatility. 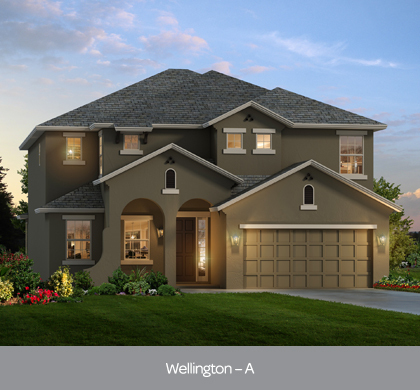 The Wellington offers the perfect solution for building the perfect home of your dreams. 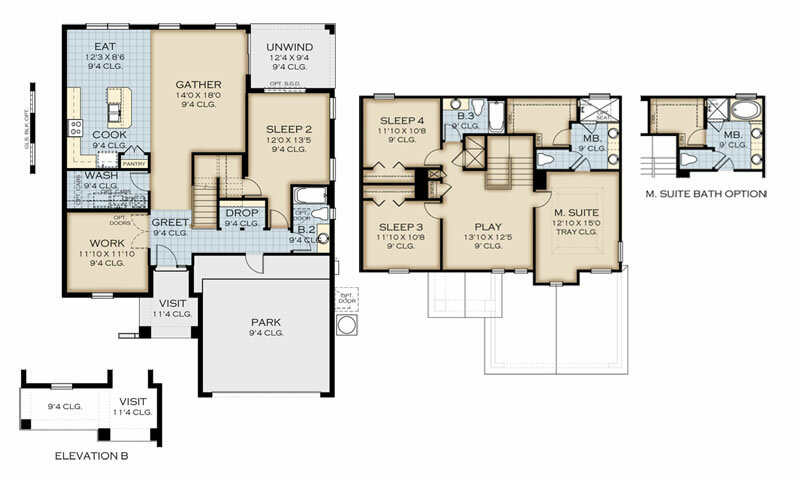 Ideal for a large family or even someone who likes to entertain, the 5-bedroom haven, offers the answer to both. The magnificent two-story home features with a laundry chute, a drop zone to your right as you enter, with an arched hallway that leads you to the open gathering area which includes the island kitchen and spacious family room.